Crock Pot Corn on the Cob - Recipes That Crock! Crock Pot Corn on the Cob is about the best thing since sliced bread if you ask me! 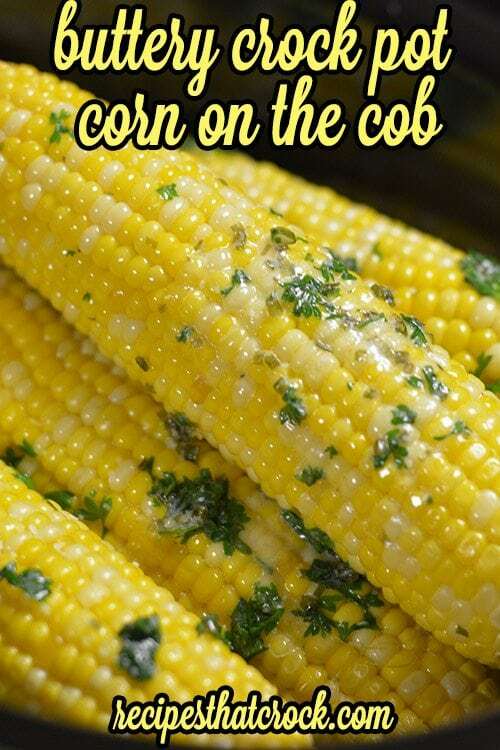 I just love this recipe for making corn on the cob in my crockpot or slow cooker. It is a great way to fix up a batch of 6-8 ears for a cook-out with family and friends. Updated with a video from Mikey! I was so excited to head back to my friend Leah’s farm to literally pick my own corn this year! (Confession– okay I have been back twice!) I had the fun opportunity to actually pick the same corn we saw planted earlier in the season a few weeks ago. And then this last time we headed to Leah’s farm with Indiana’s Family of Farmers to have the treat of learning Miss Leah’s No-Cook Method of Freezing Corn and taking home tons of corn for the freezer. Curious about corn? Check out my friend Marybeth’s post that explains it more. On the Cob or Off? So now that my freezer is full for the winter, I had to get down to the business of fixing up a batch of Crock Pot Corn on the Cob in my slow cooker. I just LOVE corn on the cob, don’t you? Well– actually, I love eating fresh corn cut off the cob but that is a debate I know a lot of others feel strongly about 😉 On or off the cob– that is the question. Psst… my fellow off-cobbers should check out this cool little gizmo that makes cutting it off the cob a zip! Also for you on-the-cobbers, this Corn Zipper does make it super easy to cut the corn off the cob for salads or freezing corn. 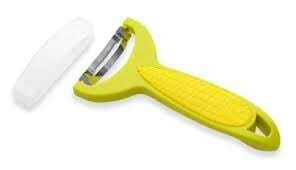 I used one at Leah’s to help with the task of cutting corn off hundreds of ears. Regardless of your preference– I think you are going to love this recipe. Unlike a lot of other slow cooker corn on the cob recipes, this one does not require you to wrap your corn individually in foil. Instead, it is a super-time saver. You just dump your cobs in with a little water to steam them for a couple hours and then drain and toss in the delicious herb butter…. Mmmm….mmm! 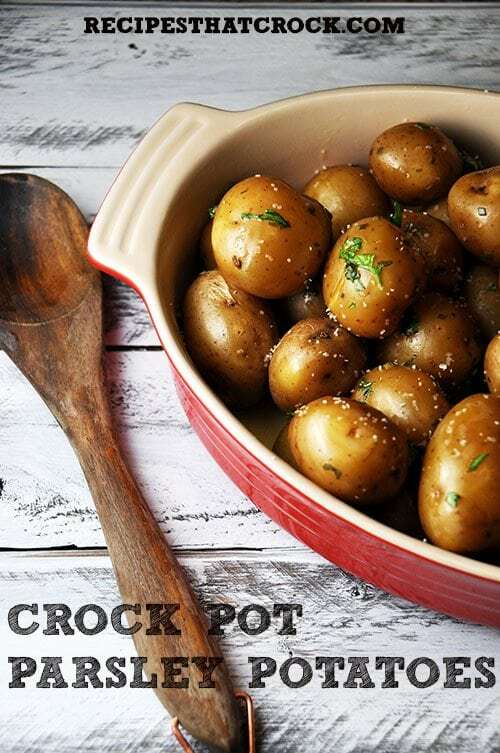 I actually got the idea from my very favorite Crock Pot Parsley Potatoes. You remember the ones… the ones that my hubby was crazy about? I followed the same method and whipped up the same herb butter that I did for the potatoes (that I found in Gooseberry Patch’s 101 Super-Easy Slow-Cooker Recipes Cookbook) and the corn turned out ah-mazing. Great way to make Crock Pot Corn on the Cob in your slow cooker! Method adapted from a recipe in Gooseberry Patch's 101 Super Easy Slow Cooker Recipes. Place corn in slow cooker. Cover with 1/4 cup water. Mix all ingredients except salt and drizzle over corn. Big thanks to Indiana’s Family of Farmers for the on-going corn tour and sponsoring this post. they eat ‘sweet’ corn, which I never heard of.! Do you mean put only 1/4 cup of water in crockpot or cover corn w/ water?